The Veterans Day Holiday gave us the chance to do some training. Since photo reconnaissance/damage assessment seems to be a growing part of the CAP mission these days we decided the clear conditions and light winds that day would provide us with a great opportunity to brush up on our aircrew and photo re-con skills. The crew consisting of Capt Frank Riebli (pilot), 2d Lt. Kevin Fall (mission observer\photographer), and 2d Lt. Rex Beach (mission scanner\photographer) met at the Business Jet Center at the Oakland Airport to plan the mission. Our plan was to fly over the Golden Gate Bridge, south down the Pacific coast past Half Moon Bay, east to find the town of Bonny Doon, on to the Livermore Airport for fuel, then return to the Oakland Airport. This route gave us interesting points to photograph. It also required the planning of many elevation changes due to air restrictions and topography along the route. Kevin brought along his Cannon EOS 7D camera which provided the crew with an excellent tool to document the reconnaissance. We stayed close to the shore line as we headed south noting and photographing landmarks, and structures that might be susceptible to tsunami activity. 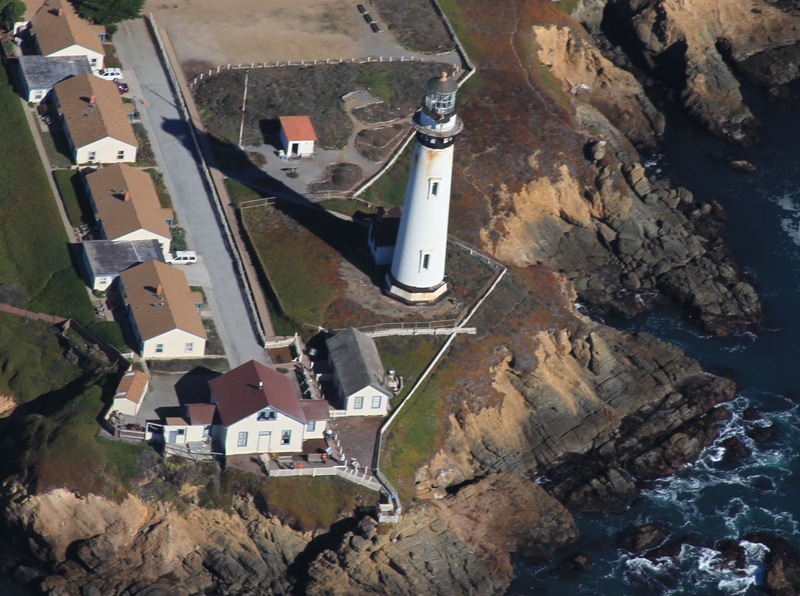 Structures were observed on the high cliffs around Pacifica. Further south and below similar cliffs we noted beaches, some of which were accessible and others which were difficult for people to reach. The coastal terrain begins to flatten out as you reach the area just north of Half Moon Bay. Many structures there certainly could be impacted by a large tsunami. ﻿﻿﻿﻿Proceeding down the coast we identified Pigeon Point Light House. 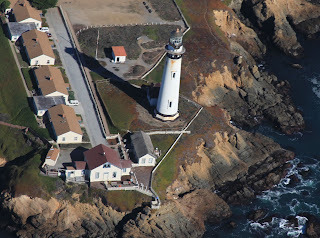 We circled the lighthouse and photographed it from various aspects. As we continued south we noted Año Nuevo State Reserve which set us up for a turn to the east to find the town of Bonny Doon. One of our mission objectives was to find and photograph the Bonny Doon Village Airport east of the town. 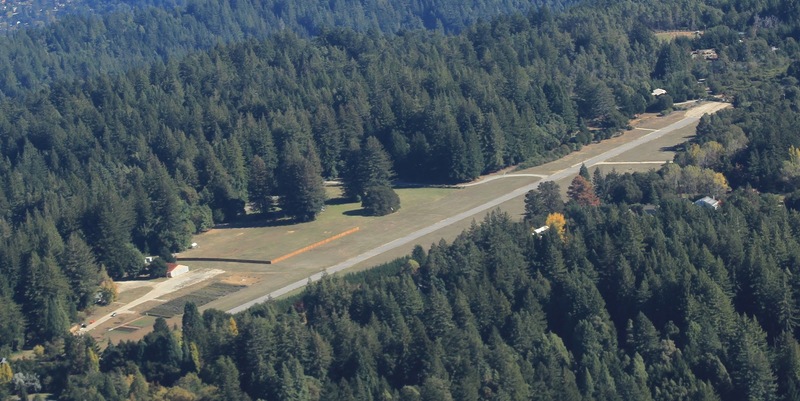 This is a private airport that is little used with a single runway. We flew along the ridge lines progressing east until we located the airport. Then circling the airport we took photographs of the approach and departure ends of the runway. 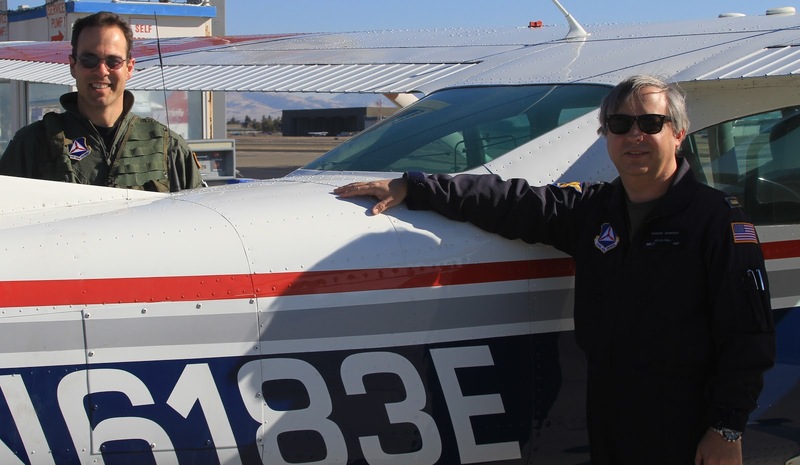 Having completed this task we flew on to Livermore as we avoided air traffic around San Jose and Reid-Hillview airports. Landing at the Livermore Airport gave us the chance to top off our tanks with fuel for our return flight back to Oakland at around 2:30. The training flight gave us all the opportunity to sharpen our mission planning, photo re-con and general aircrew skills in preparation for a real world mission. latest gadgets aspect of lighthouse by taking photographs. It is very joyfull mission to enhance the aircrew skills for a world mission.